Being in central GA, our winters are mild and we don't get a lot of snow. However, we do have a fair number of customers from the north that like to enjoy the winter wonderland from the view of a snowmobile. 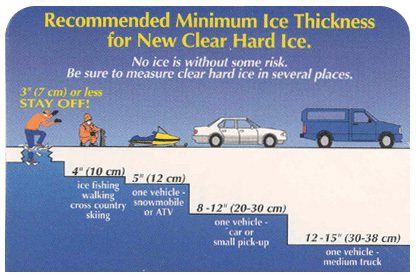 Here are some snowmobile safety guides to help you enjoy your outdoor activities. Don't mess around when it comes to ice thickness. A few minutes in the freezing water could be the difference between life and death. Knowing the proper hand signals can help you communicate with other riders and avoid deadly disasters. 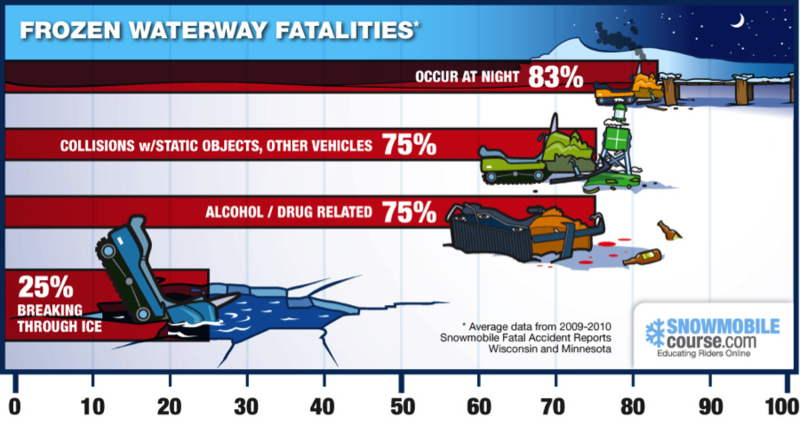 Here are the statistics on frozen waterway fatalities. Use precaution and don't become a statistic. Did you know that Trailers for Less, Inc has access to manufacturers all over the U.S.? If you need access to a snowmobile trailer give us a call and we can have one ready for you to pick up at a manufacturer near you. Not only will this save you money on transporting your trailer, but you'll be able to make your transaction with a knowledgeable dealer and skip the hassles of dealing with the manufacturer.